Who will take the reins at Harlequins? Harlequins have confirmed the signing of lock Matt Symons from rivals Wasps ahead of the 2018/19 season. Symons started his youth career with Saracens in 1994 and decided to pursue a career in rowing in 2006. An injury to his forearm effectively ended his rowing career as he returned back to rugby in 2011 for Esher and enjoyed stints with Chiefs, Canterbury and London Irish before joining Wasps in 2016. “I am hugely excited about signing for Harlequins and cannot wait to get down to The Stoop and join up with the squad,” said Symons. “I’d like to thank Wasps and the fans for the opportunity and the support they showed me during my time at the club, I will always cherish the memories from my time there. 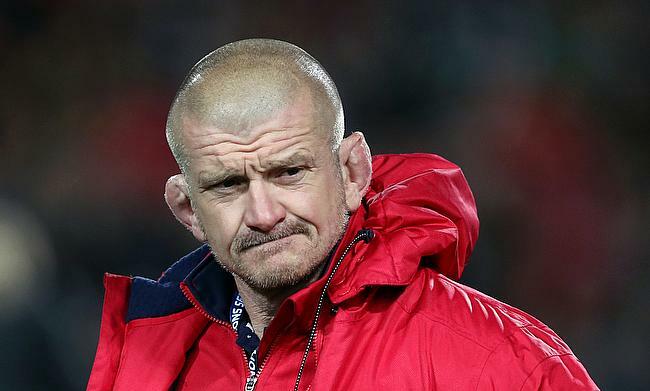 The 28-year-old also has experience of captaining Chiefs side and forwards coach Graham Rowntree believes his addition will boost the strength of the squad. “Matt is a player who has been on my radar since his time with the Chiefs in New Zealand. He brings a physicality and lineout authority that we’ve been looking for, as well as adding some power to our engine room. Harlequins finished the 2017/18 season of Aviva Premiership at 10th place after managing just seven wins from 22 games.